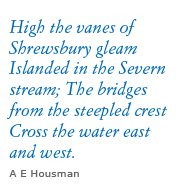 In the March and Borderland of Wales: Shropshire, Herefordshire, Monmouth. 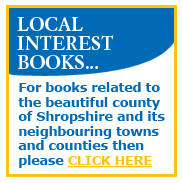 Publisher: Herefordshire: Lapridge Publications, 1994. Paperback facsimile of Bradley's 1911 book in good+ condition. Shelfwear to edges of covers with bumps to corners. Creasing to top corner of front cover. Some marks to edges of text block. 8vo. 282pp.